It’s essential you prepare your kids for what it will be like at the airport, and what you’ll need to do while you’re there. The same goes for the plane. Kids need to have an idea about how they get on the plane, what they do on the plane and what’s expected of them. 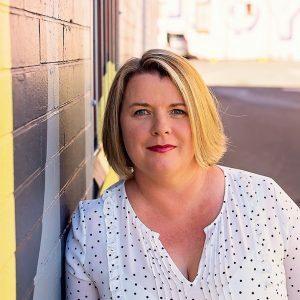 It’s a lot to take in for kids when everything is so different but kids are very adaptable, so a little preparation goes a long way. Plus there are so many amazing children’s books on airplanes that will make your flight so much easier. This book was a favourite in our house when the kids were very little. It has fantastic rhyming words that make it easy and fun to read. It’s a simple introduction for toddlers to airports and planes. The creators have also released the Amazing Planes Activity Book which would be lots of fun to do. Multi-award-winning author, Lucy Cousins takes her famous character Maisy Mouse on a plane trip to see a friend. This is a beautiful book to prepare boys and girls who have never flown before. You follow Maisy as she goes through security and steps on board, as she meets the captain, goes to the toilet, and meets new people. 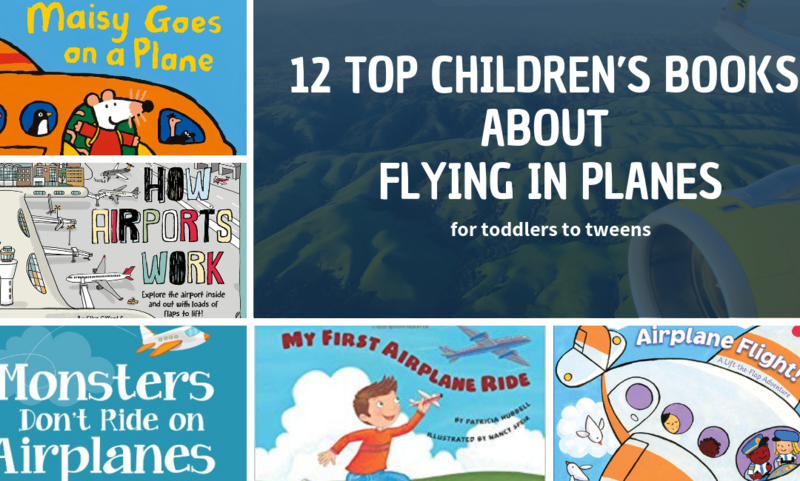 This is a fun board book perfect for a child’s first airplane trip. The super cute flaps make it enjoyable to read, and the text also has a nice rhythmic and rhyming flow to it. The story is fun and simple enough for a toddler to understand. This illustrated board book for toddlers concentrates on the airport, with its shops and restaurants, emergency services, and ground crew preparing planes for takeoff. There are flaps to lift and a fold-out scene. Designed to encourage good manners, this book is a must for toddlers and pre-schoolers getting ready to fly. It tells the story of three monsters who aren’t allowed to fly because of their onboard antics while showing the good behaviour of a young boy and girl who are allowed to fly. A colourful short story about a little boy taking his first airplane trip. This picture book goes through all the major experiences including getting boarding passes, going through security and finding the right gate. In a reassuring way, it also talks about the flight safety briefing, the feeling and sounds of takeoff, and landing to see Grandma. This book is especially good for those kids who are noise sensitive. It takes you through the sounds they might hear on the plane on take off, during the flight and on landing. It also talks about some of the physical sensations experienced when flying. This fun activity book loaded with very entertaining puzzles, such as mazes, crosswords, secret codes, word searches, as well as colouring activities that would surely make them look forward to their trip. This is recommended for children who are nervous or scared waiting to board a flight. Flying with kids for the first time can be very overwhelming, and this book would be a great help in preparing kids for their first plane trip. 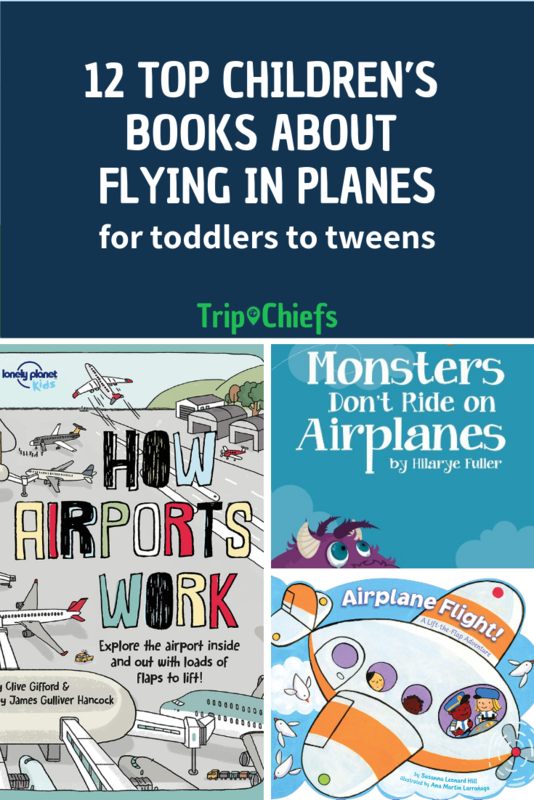 It talks about everything a child would need to know about taking a plane ride. Also, the pictures are great. This brand new book from Lonely Planet Kids is sure to be a winner with kids. Each page brings the airport to life, allowing you to have a behind the scenes look at the different sections of the airport. The kids will get to discover where their bags go, what happens in the control tower, how things work, what all those workers are doing, and what happens behind all the closed doors. It is a great book to read before you go on a flight or for any kid who loves airplanes. My First Trip on an Airplane is a step-by-step guide using words and photos to teach young school-aged kids what to expect at the airport, on the plane, and at their destination. This book has tons of information about airplanes and comes with plenty of pop-ups, pull tabs, and flip-ups. It’s more about the plane and less about the journey. 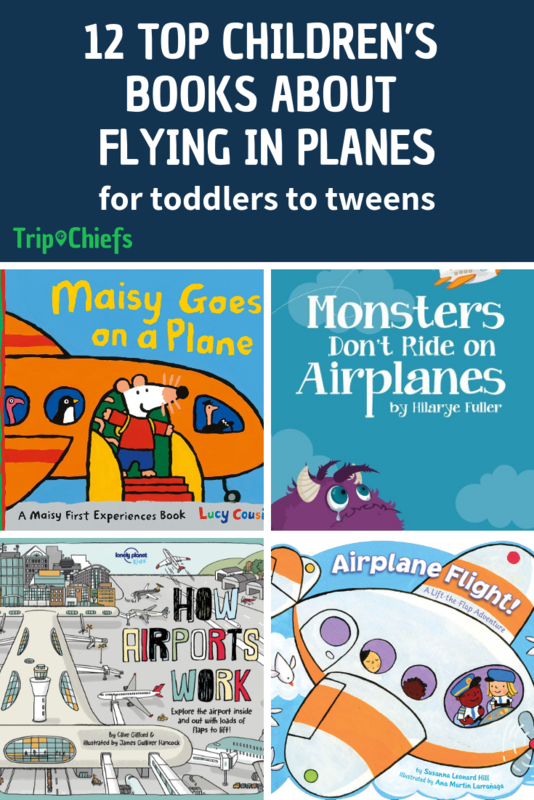 We hope these books help your first-time flyer to have a great flying experience.